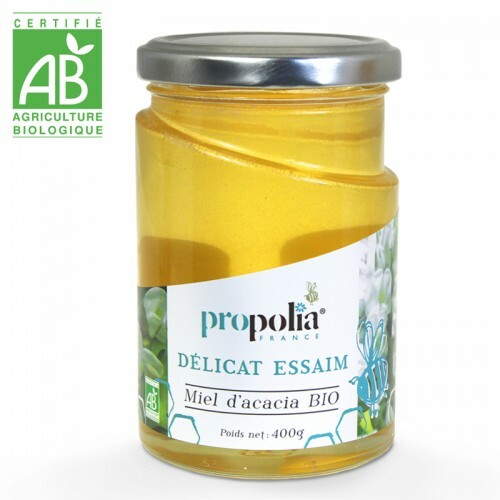 This means that we comply with "Organic Farming" specifications and that we do not use any chemical fertilizers, or chemical weed killers, or pesticides, or chemical fungicides. Acacia, as we usually know it, uses a false name. This tree is in fact called Robinia pseudoacacia (or false Acacia), named after Jean Robin who imported it from Virginia in the 17th century. 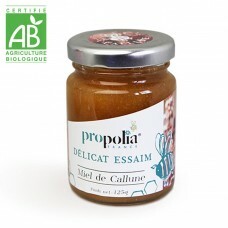 This tree species is fairly localised in France (particularly in the Paris region), and little cultivated because it is considered to be invasive. 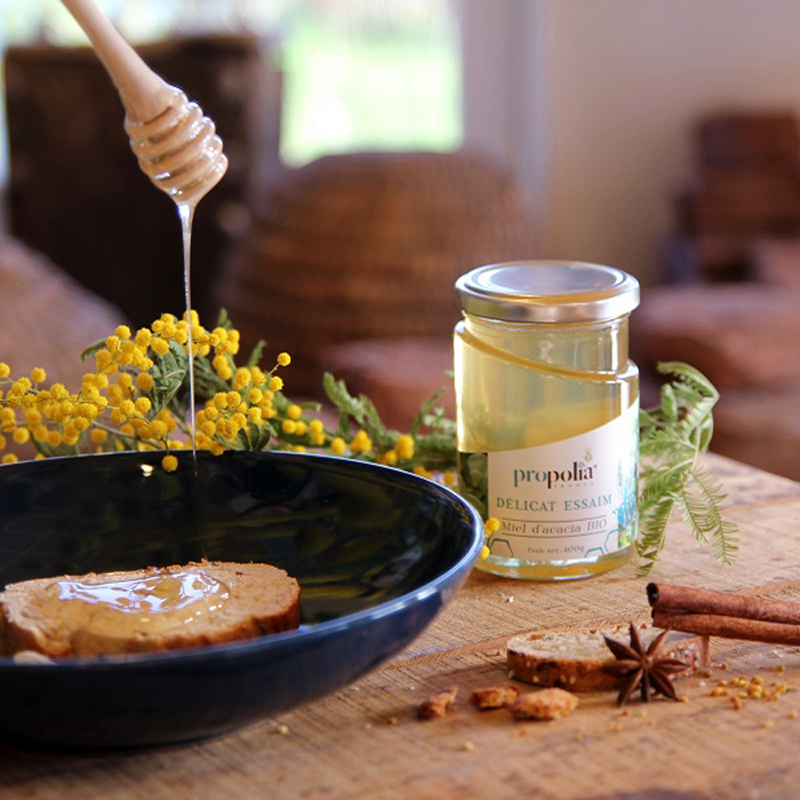 On the other hand, Hungary is one of the most productive countries for Robinia's honey. It has been cultivated there for several decades for the use of wood, whose properties of resistance to flexibility are used in carpentry. Hence the presence in Hungary of vast forests of Acacia. 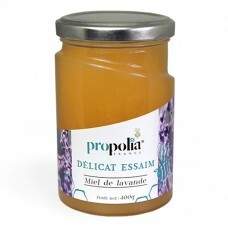 It can be spread on a slice of rye or wholemeal bread, with or without butter (we love it with salted butter). It can be added to morning tea or simply with a yogurt. 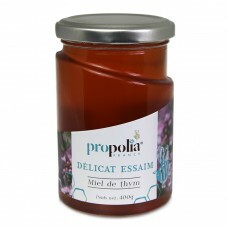 In the kitchen it can be used to soften your meals and salad dressings - it is all about taste and desire! 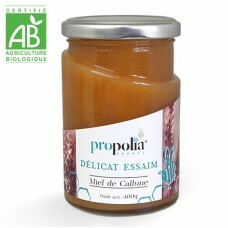 To preserve all the flavors and qualities of honey it is recommended not to heat it above 37° C. If necessary make it a little more liquid by warming it up on a radiator or in a hot-water bath over a low heat. Store in a dry place away from light. 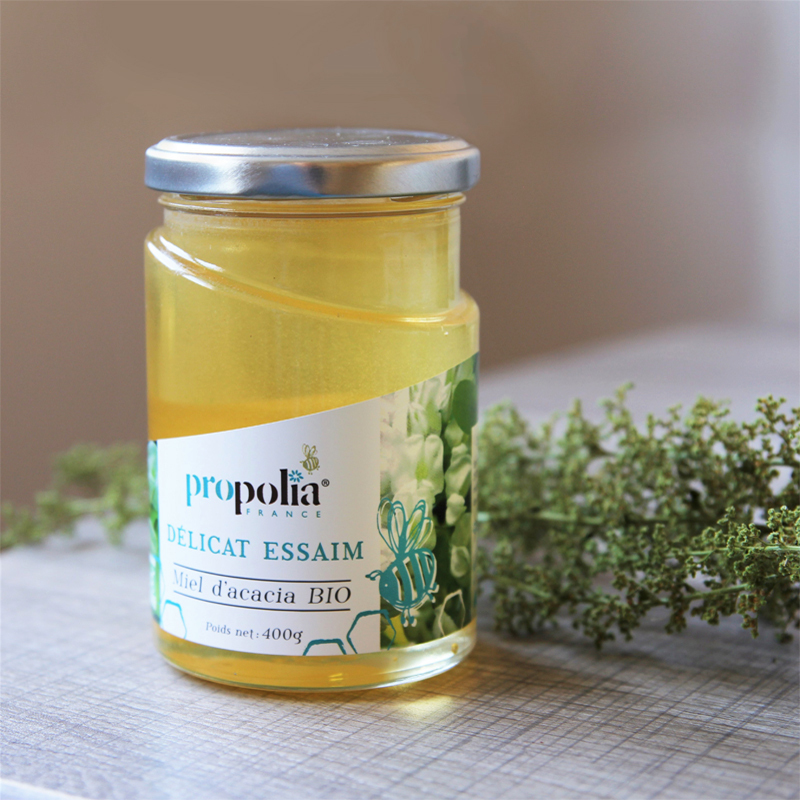 A specialist in Beehive products, Propolia® offers you a selection of individual honeys: dance with the bees and awaken your taste buds! 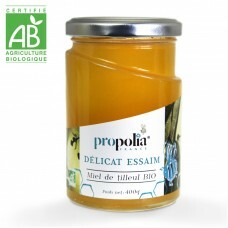 This honey is sweet with delicate and fragrant floral flavors, with slightly buttery and warm notes. Very liquid, it stays soft and smooth. Labels THE FRENCH "AB" (ORGANIC FARMING) & EUROPEAN ORGANIC FARMING LABELThis means t..
A little cultureIt has become relatively rare because of the very dry Summers in the South of France..
A little cultureThe famous Montélimar nougats, much appreciated by young and old alike, are tr..
A little cultureErica Heather wood (which differs from the Calluna) is well known by pipe smokers. I..